Following customer requests, we have been chlorinating some of our first latex goods already 20 years ago and gained a lot of experience in this field. More and more customers ask about the advantages and disadvantages that come along with the chlorination of the material and whether latex can be chlorinated independently. Very often manuals for a self-chlorination are found among the world wide web, but they often lack the neccessary and deep chemical correctness and therefore only contribute to the existing incomplete understanding of the underlying process in a negative manner. Due to the reasons mentioned above, it is our intention to explain the advantages and disadvantages of the chlorination in detail and to provide an accurate manual for the chlorination of your latex clothing. In order to understand the process of chlorination properly, it is very senseful in the first instance to deal with the manufacturing and chemistry of latex in a simplified way. The historically and scientifically less interested readers can skip the corresponding sections of course. The received, yellowish colored natural rubber does not exhibit any material properties. It is a extremly viscous mass, which tends to deliquesce under it's own weight if it is exposed to a longer shelf life. This property is in general called viscoelasticity. Latex clothing and numerous technical applications were only made possible by a process called vulcanization which was discovered by Charles Goodyear in 1839. On a molecular basis, natural rubber is made up by long hydrocarbon chains. The chains are movable against each other and therefore cause the viscous consistency. During the process of vulcanization the natural rubber is set under pressure together with sulfur and further additives. The sulfur cross-links the hydrogencarbon chains and therefore causes additonal stability and the elasticity of the resulting rubber (latex). 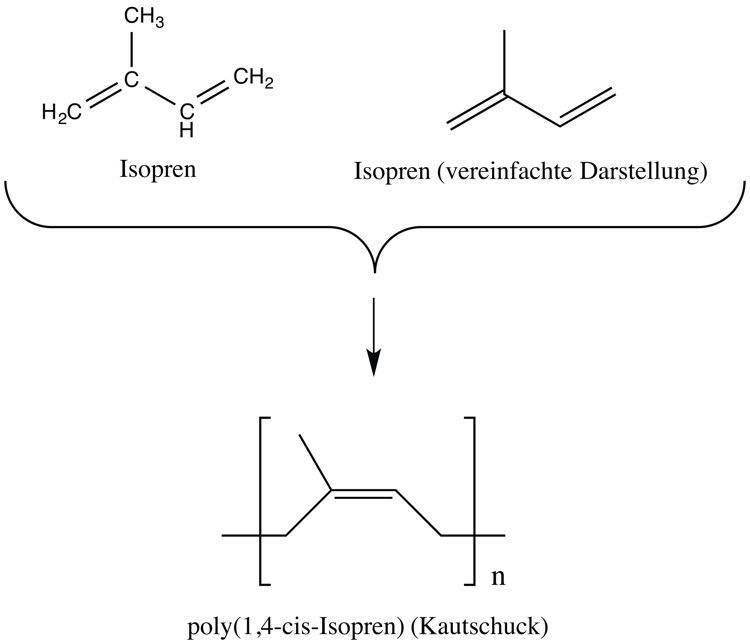 By the sulfur content the material characteristics can be altered precisely ‐ the more sulfur, the harder and inelastic the resulting latex becomes. The formation of material properties can be understood best in analogy to a rung ladder. The crude natural rubber is like the loose side rails of a rung ladder ‐ without rungs they are arbitraryly movable against each other. The sulfur of the vulcanization process functions like the rungs for the connection of the side rails ‐ with an increasing number of inserted rungs, the stability and rigidity of the ladder increases. For the manufacturing of latex clothing only a small amount of sulfur is added. The result is a "wobbly" ladder with slightly movable side rails or elastic latex for your favourite latex clothing. The latex is produced directly in the form of a long sheet and can be glued using a special adhesive that mimics the process during the vulcanization and connects the latex layers safely. This way it is possible for us to create made to measure latex clothing for you ‐ down to the very last centimetre. All of you, who love to get dressed in latex pretty fast, should take a look at the chlorination of latex. In the following, we intent to present you everything worth knowing concerning the process of chlorination and provide a manual for a self-experiment. At first some good news: You can chlorinate latex yourself for less than 1 €. Of course one is very quickly enticed to chlorinate one's favourite latex clothing but the chlorine treatment does not only offer benefits. For example the surface is altered in a way that makes a bonding with special glues almost impossible and repairs become complicated or impossible. In order to ensure a proper bonding, the latex has to be ground, what is only possible for thicker latex. Chlorination makes the surface smooth and silky. The latex slides on your skin and can be put on without any aid like silicone oil or talcum powder. Therefore chlorinated latex is especially suitable for clothes that are very large and laborous to put on ‐ for example a catsuit. The effect unfortunately disappears if the skin is clammy or if the skin was previously creamed. Larger pieces of cloth with a low tendency to slide are surely the favorites, for example catsuits, shirts or coats. Stockings, mini-skirts, short dresses or leggins can slip down due to the tremendously smooth surface of the chlorinated latex (advice: moisten the inner surface of the stockings approximately 10 cm down the rim with a small amount of water. The water acts as an adhesion promoter and your stockings won't slide any longer.) Needles to say, this method can be applied to other types of clothing aswell. Common cotton clothing overneath chlorinated latex will stronly slide on the surface if no silicone oil is applied. Better think of a belt, if you don't want to show your latex underwear by accident. Smell enthusiast will have hard times. The original smell will vanish completely and be replaced by a new odor. Especially a few days after the chlorination a residual smell of chlorine will be noticeable ‐ but the residual chlorine smell will vanish completely. The new odor can be described as somewhat "industrial". In case of thicker latex the inner layers of the material get only slightly chlorinated or remain unchlorinated. Here it is possible that a residual smell of the original rubber escapes to the outside and becomes noticeable. Important to mention: For the huge mass of chlorinated one should exspect a permanently altered smell. 3. Invisible changes ‐ do I still wear „latex“ ? Summary: Through the process of chlorination the surface of your latex gets chemically sealed. The deeper layers remain untreated and a deep action care with silicone oil still remains reasonable. The result is a smooth, silky surface which slides on dry skin. However the sealing of the surface is the reason why repairs of the latex garments are hindered or impossible ‐ the latex glue can't bond with the new surface and build up a permanent bonding ‐ any bondings will become detached very quickly. Due to the new surface characteristics it takes a longer time for silicone oil to penetrate the material. Silicone oil that is applied for a high gloss appearance doesn't adhere very well an can be wiped off more easily than in case of unchlorinated latex. The surface is in most cases rather matt finished than high gloss finished. As a natural product, latex is a subject to manifold influences and it is very likely that not every chlorination attempt will result in a uniform product. It is possible that some parts of the surface become dull or that the surface appears to be completely dull. Sometimes bright colors can show effects of discoloration or show little stains. Sadly, a second chlornation isn't capable of correting this drawback. In severe cases it is very difficult or impossible to make such a material shiny again. Fortunately chlorination results like this are rare exceptions. Some manufacturers offer a soft-chlorination. An actual soft-chlorination doesn't exist ‐ it is more or less an incomplete chlorination of the material causing an unsatisfactory result which can't compete with the result of a total chlorination. A chlorination is only done correctly and completely when all binding sites within the material are readily saturated with chlorine. Sometimes the soft-chlorinated latex is still sticky and a dressing aid is neccessary. Furthermore soft-chlorinated latex tends to split off hydrochloric acid when it is exposed to solar irradiation or elevated temperatures. This process happens very slowly and isn't dangerous but in any case annoying. Let's come to the core business ‐ the chlorination itself. We will need different chemicals which can be harmful and hazardous in case of improper and unsafe use. Therefore it is strongly recommended to follow the manual strictly and to keep all outlined safety instructions in mind. Causes strong irritations of the respiratory system and eyes. Can cause death in high concentrations. Severely corrosive to mucous membranes and lungs. In case of irritations of the respiratory system and/or eyes, the eyes need to be washed with large amounts of cold water and the injured person should be exposed to fresh air. If the symptoms do not improve quickly, a doctor must be summoned immediately (in severe cases: consult emergency hospitalization). Chemical burns of the respiratory system (lungs) may lead to a potentially deadly edema of the lungs. Causes severe chemical burns of the skin and severe eye damages. In case of contamination with hydrochloric acid, remove the affected clothing and wash your skin with large amounts of cold water. In case of inhaled vapors and irritations of the respiratory system, the affected person must be exposed to fresh air until the condition of the person improves. If the symptoms of irritation persist, a doctor must be summoned. Wear safety googles ! In case of contamination of the eyes, they must be washed with large amounts of clear, cold water. Strong bleaching effect on textiles. In case of contamination, both eyes and skin must be washed with large amounts of cold water. Causes severe irritations of the eyes. In case of contaminated eyes, wash your eyes with large amouts of cold water. Annotation regarding the safety data sheets: The safety data sheets contain descriptions of the chemicals used and their special hazard potential. All specifications are intended for an industrial scale (tons). We are working with very small quantities of hazardous chemicals in case of a latex chlorination at home. Taking all the instructions and safety measures into account (protective clothing ! ), the chlorination of your latex clothing can be considered as harmless. The safety data sheets are provided for infomation purposes and the sake of completeness. Due to the toxicity and corosiveness of the formed chlorine gas the experiment should only be carried out in well ventilated rooms using a respiratory protection (operational gas mask) ! Working in the open air it is sufficient to wear safety googles (instead of a gas mask) because of the fast dilution of the released chlorine gas. The following description is designed for the chlorination of a complete latex catsuit. According to the amount of latex to be chlorinated all quantities need to be adjusted. First of all remove any dirt, silicone oil or residues of latex glue from your latex clothing. For a good result, the latex catsuit should be thouroughly washed with a mild detergent. Now fill 10 liters of clear water into each of the buckets. The chlorination will be carried out in the first bucket ‐ the second bucket is intended to wash the catsuit and remove most traces of the reaction mixture after the chlorination. Take 150 mL of sodium hypochlorite solution (14 wt.-%) and add it to the first bucket all at once. Now add your latex catsuit to the resulting sodium hypochlorite solution and make sure that the latex is equally wetted and gets enough contact with the solution. Turning the garment inside-out several times is very helpful. Take 50 mL of hydrochloric acid (30 wt.-%) and add the hydrochloric acid to the first bucket. Don't get frightened ‐ the mixture will start to fume a litte bit. After the addition of hydrochloric acid, elemental chlorine is formed and immediately starts to react with the latex. The latex should be kneaded in the reaction mixture for 3-4 minutes and turned inside out several times. During this time span most of the chlorine will react with your garment. Now remove your readily chlorinated latex and rinse it with fresh water in the second bucket. Turn the garment inside out several times and knead it from time to time. The reaction mixture and most of the surplus chlorine will be removed by this technique. Take your catsuit or garment out of the bucket for further washing. Wash the latex three times with fresh water and a mild rinsing agent in a lavatory for a complete removal of surplus chlorine and traces of the reaction mixture. The detergent can help to remove the traces of chlorine much faster and therefore decreases the unwanted smell. Dry the chlorinated latex afterwards. Right now the reaction mixture in bucket one has to be disposed. Take a spoon and add sodium carbonate to the first bucket until the foaming and the formation of carbon dioxide gas disappears. The solution is now pH-neutral and can be disposed into any available sink. Due to the high dilution, the content of the second bucket can be disposed into a sink without any further operations. Wear the outlined protective clothing during the whole procedure (lab coat / apron, gas mask, chemical protective gloves). Avoid any contact of the reaction mixture with any kind of textile clothing. The reaction mixture is capable of bleaching or even decomposing your clothes. Under certain circumstances chlorinated latex is suitable for allergy sufferers. The latex clothing needs to be left in a bucket full of water 24 hours prior to the chlorination process. The latex must be immersed completely. Afterwards the latex needs to be rinsed in fresh water. This procedure reduces the content of the allergenic protein. The following chlorination causes an almost complete deterioration of the allergenic protein. Due to the decreased protein content, the respective latex garment becomes suitable for allergy sufferers. This method is already established for medical latex items.